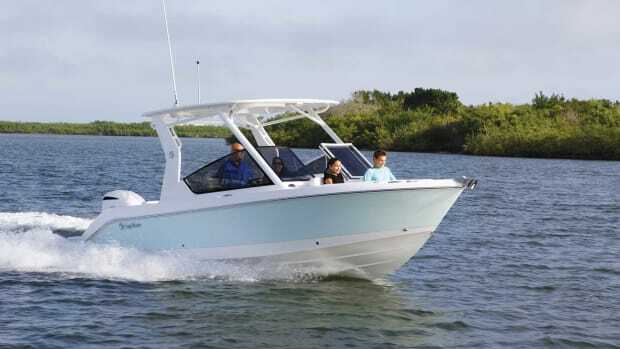 The 27 is the first dual console from the North Carolina builder known for express boats. Like all dual consoles, the 27 is versatile by design. 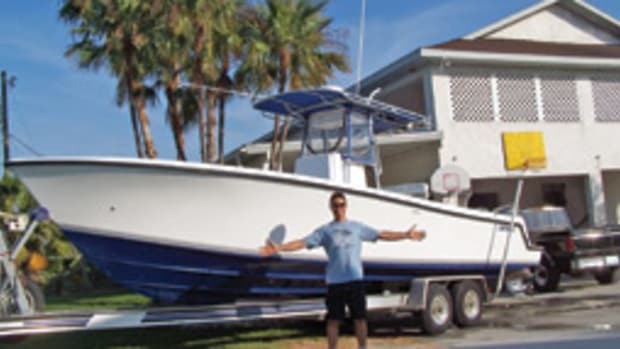 One part sportfish and one part family cruiser, it can tow the kids on tubes one moment and troll in salt water the next. 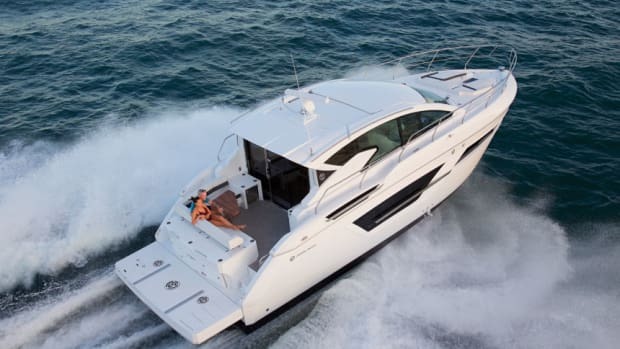 It has a head for mixed company and a cabin for junior at nap time. 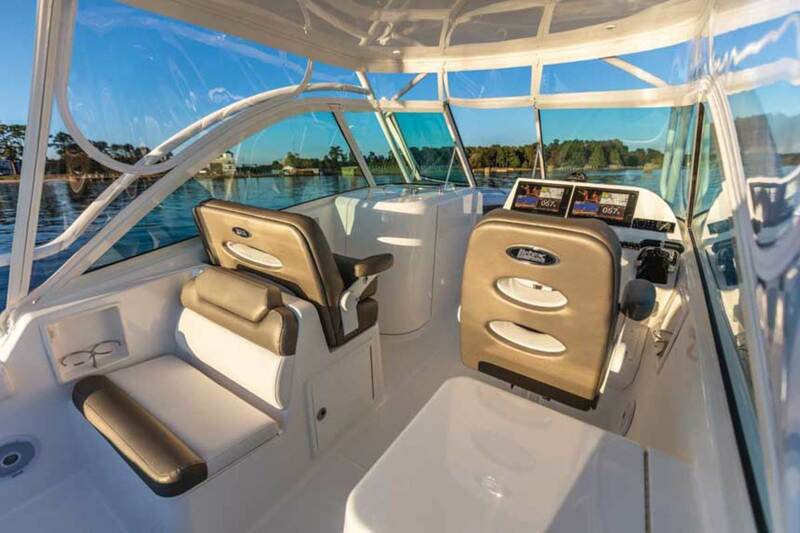 There’s a soft side to the 27, but don’t let the upholstered bow lounges and optional cockpit grilling station fool you. 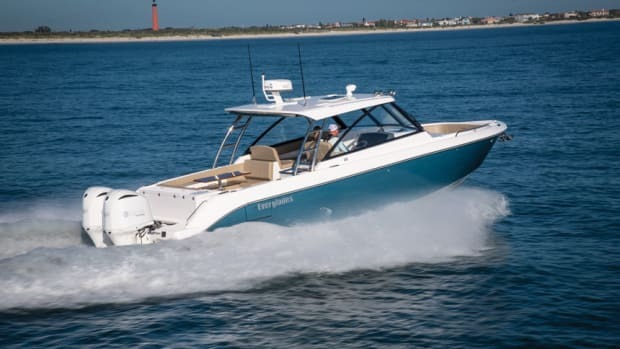 This boat also has plenty of bluewater DNA. 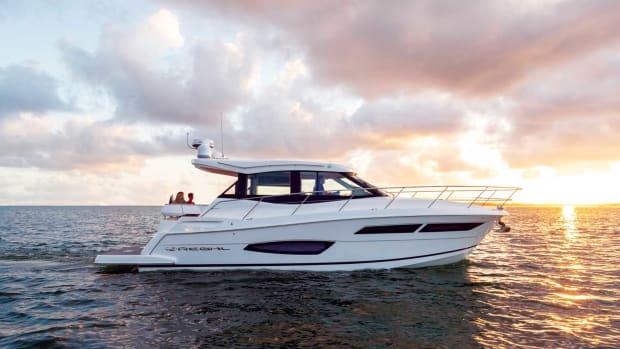 It’s one of the smallest boats in Albemarle’s fleet, but it’s built like its larger siblings. 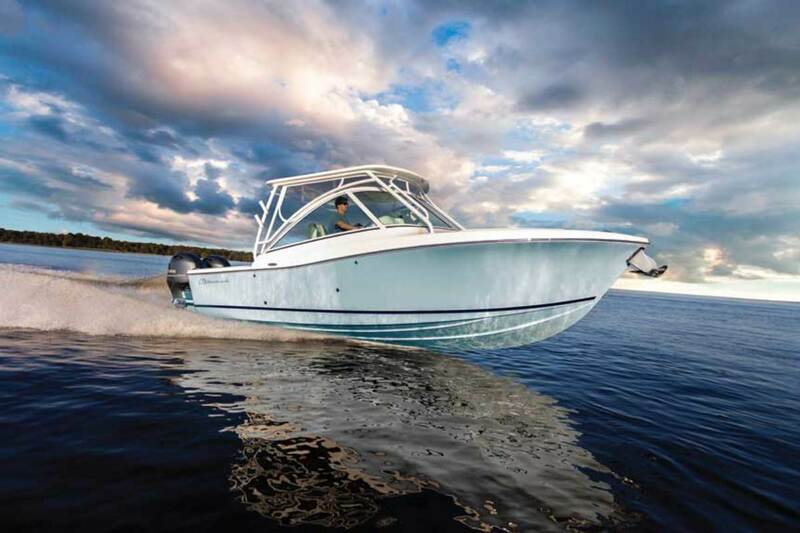 “It’s heavy, with a solid-glass, deep-V hull and 24 degrees of transom deadrise,” Privott says. “That’s the type of aggressive running bottom we’re known for, and it’s not common on dual consoles in this size range. 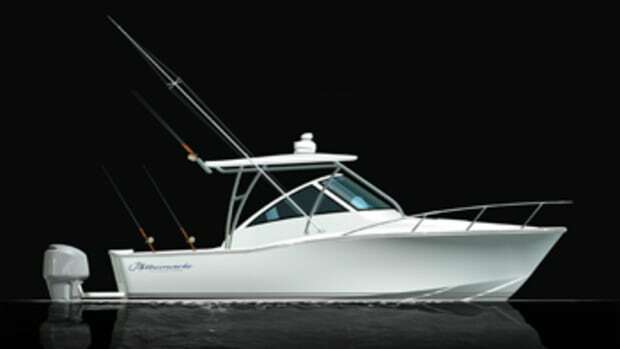 Other boats have less deadrise because they’re being made for average use. 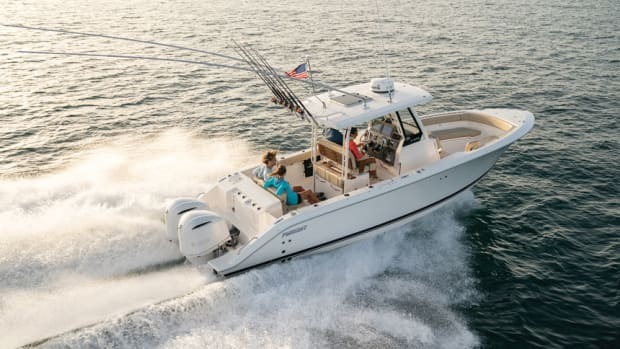 Our 27 is made for rough water.” To keep the ride stable and comfortable in coastal conditions, Albemarle designed the hull with wide, flat chines. 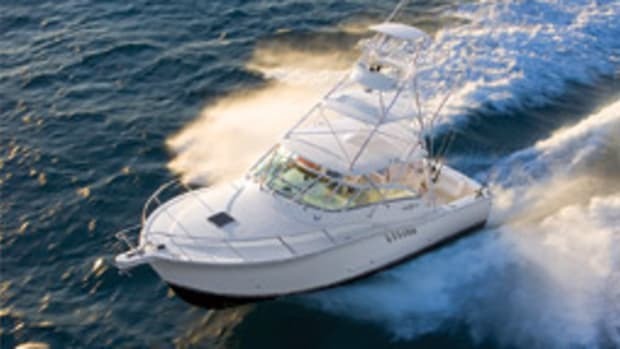 They’ll steady the boat when owners are drift fishing in a beam sea, or when they’re on the hook in a rolling anchorage with the kids.